Touchdown at 3am at Ivato Airport in Antananarivo, and I’m excited to be back in Madagascar. I first went in 1999 to investigate essential oils distilled from indigenous plants and trees, such as ravensara and katrafay. I went again in 2009 to research the Madagascar chapter of Lonely Planet’s Africa book. Now I was about to embark on more research for LP, this time in the north and east of the country. Air Madagascar’s crew decided on industrial action the next day, resulting in a 4-week strike that caused havoc and cost the country millions. The result, for me, is that instead of taking six internal flights, I now needed to hire a car for much longer than envisaged. This causes some problems, but in the end the journey is far more interesting that it would ever have been taking all those flights. Who knew that the potholed road between Ankify and Diego Suarez was lined with magnificent mango trees for all its 132km that takes 4 ½ hours to drive? Who knew that the only caviar-producing fish farm outside of Russia is at Lake Mantasoa, 60km from Tana? Who knew that the rough piste across northern Madagascar from Ambilobe to Vohémar was so badly degraded by the rains of early 2015 that this stretch of 157km would take 10 hours in a 4WD? We pass broken-down trucks en route, with their drivers snoozing beneath. On our way back a week later, some of these trucks are still there, waiting for spare parts. Such behemoths can take a month to traverse this road in the rainy season. North-eastern Madagascar is new to me, and the rewards great. 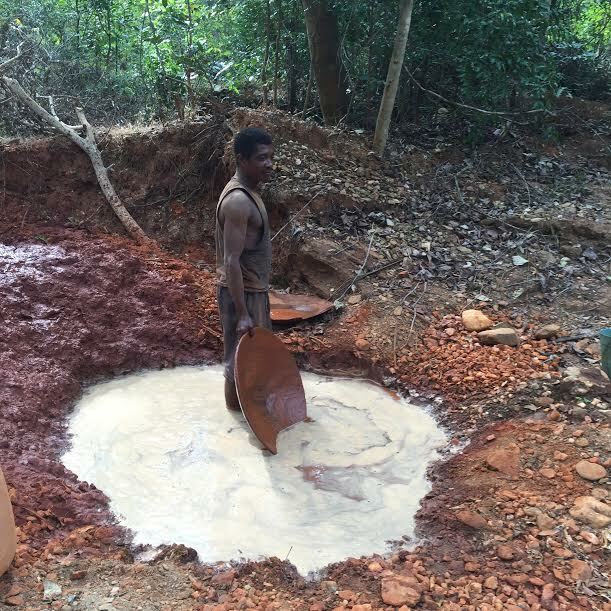 56km from Vohémar, near the tiny village of Daraina, lies a forested area managed by the Malagasy NGO Fanamby. 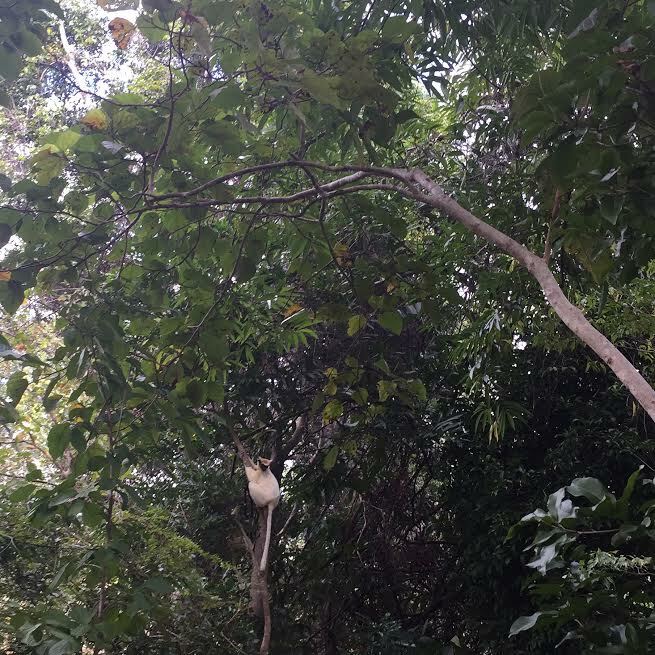 Loky Manambato protects the highly endangered golden-crowned sifaka (Propithecus tattersalli), of which I see a small family group busy eating in the trees while men and women pan for gold in the forest below. There are about 1000 of these lemurs left, all of them in this reserve. The coastline from Vohémar south to Cap Est is wild and beautiful, with wide swathes of beach backed by palm trees. It is largely undeveloped, perhaps because the sea is rough and dangerous. There is plenty of activity along the road in late June as people set out sacking mats on the tarmac to dry coffee beans in the sun; some days the beans are being roasted and the air filled with enticing aromas. Coconut and ylang-ylang plantations abound, but by far the most alluring aroma is vanilla. At this time of year, pods are being sorted and left in the sun to dry. These crops are valuable and the region is relatively prosperous. The jewel in the crown here is the Marojejy National Park close to the small town Andapa. Its name has several meanings: lots of rain, precious stones and spirits. A World Heritage Site of 600 sq km, the mountainous park is a remote, rarely visited primary rain forest, home to another critically-endangered lemur, the silky sifaka (Propithecus candidus) as well as other lemurs, frogs, birds, insects and plants. Guide Bruno at the Interpretation Centre tells me that he has discovered a new species of frog in the park and is hoping it will be named after him. Capital of the vanilla industry, Sambava is my favourite coastal town. 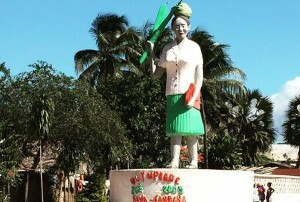 The statue bearing the bright colours of the Malagasy flag on the central roundabout is irresistibly endearing: a woman named Mother Doloresse carries a coconut on her head, holds the ubiquitous machete and a coconut flower bud in her right hand to denote a plentiful harvest, and a neatly folded red lambahoany (traditional cloth) in her left. © 2019 Helen Ranger. All Rights Reserved.